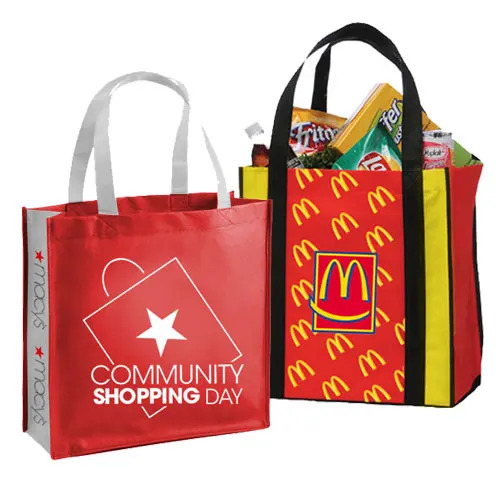 Grocery stores historically give their customers hundreds of thousands of plastic bags annually to carry their goods home. 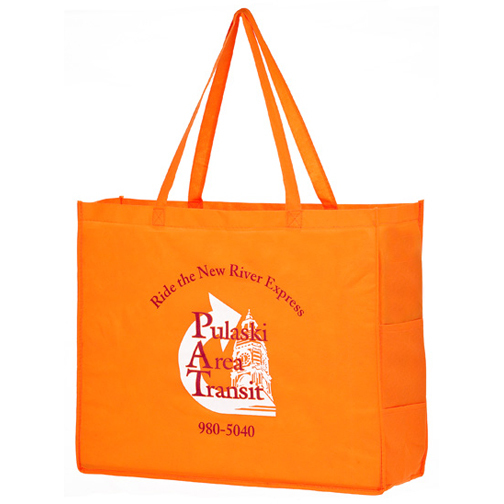 Some people simply toss these bags in the trash when they get home and unpack, others may find uses for these bags, but the final destination is usually the same: your local landfill. 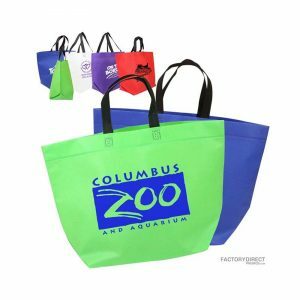 Still others may litter and the plastic bags can pose harm to animals and their habitats. 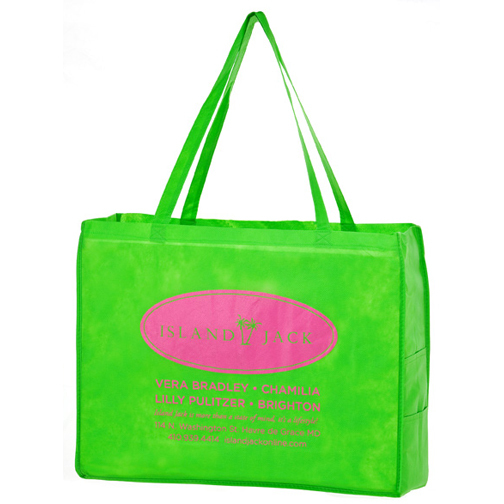 This is where you come in and offer your customers eco-friendly shopper bags. 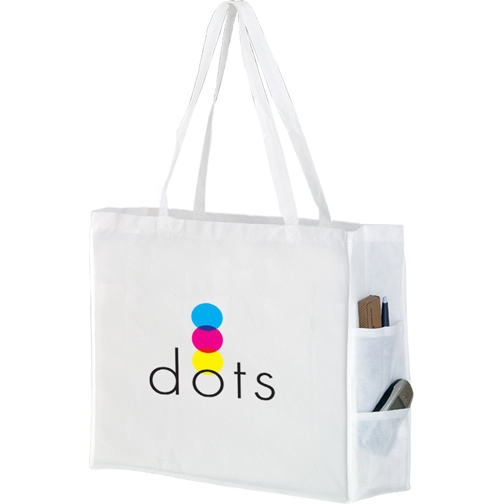 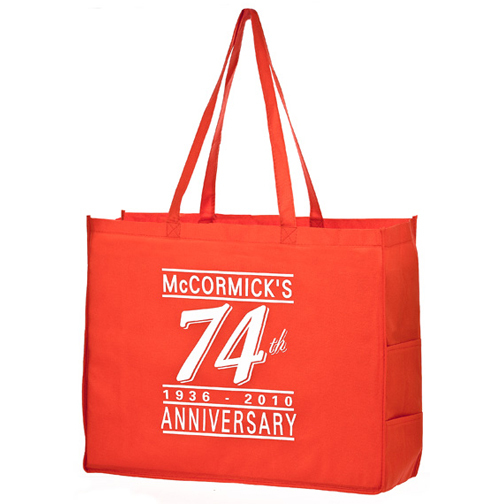 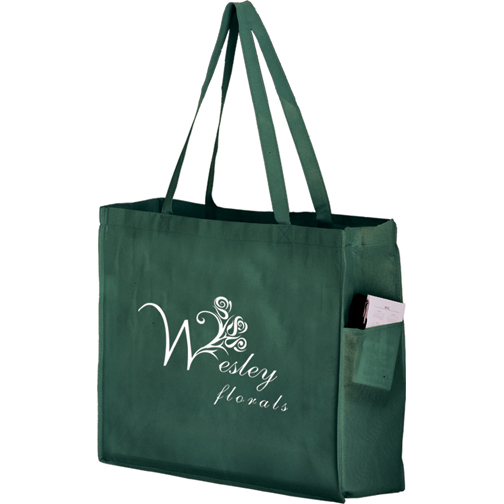 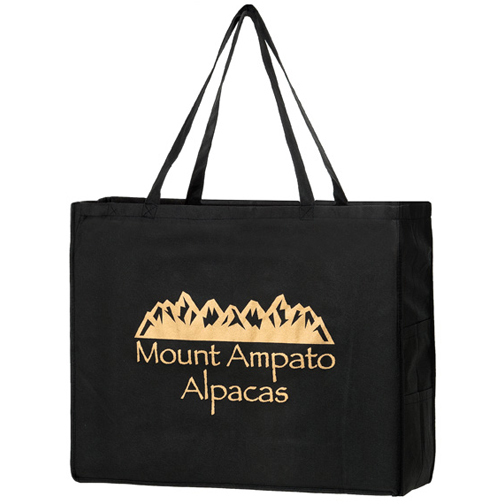 Customized reusable shopping bags from Factory Direct Promos give your customers the eco-friendly option of buying a reusable bag from you that they can re-use each time they shop with you. 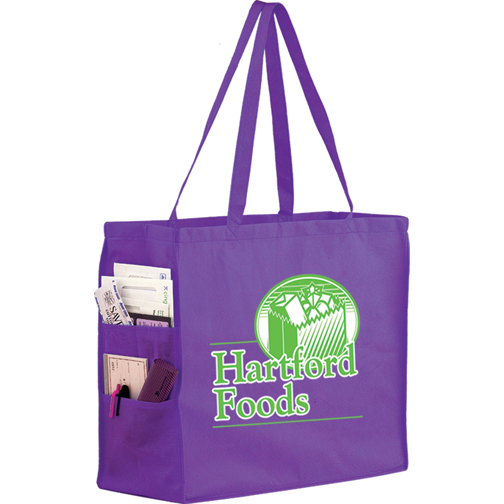 The clear financial benefit is that you can sell reusable bags to your customers instead of giving them plastic bags each time they shop. 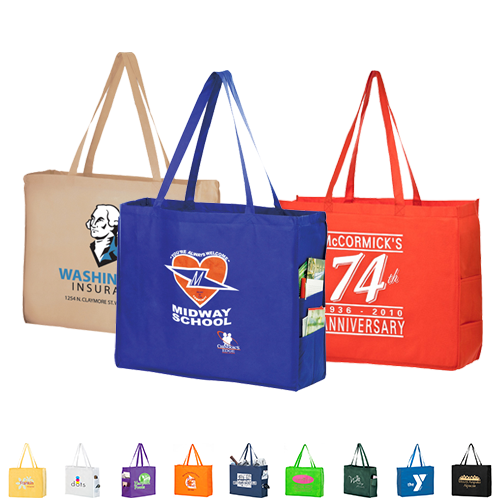 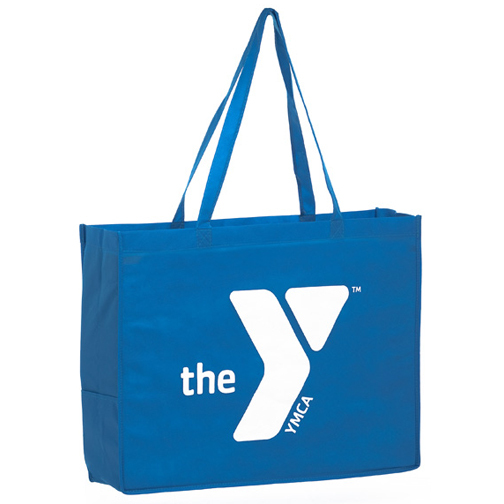 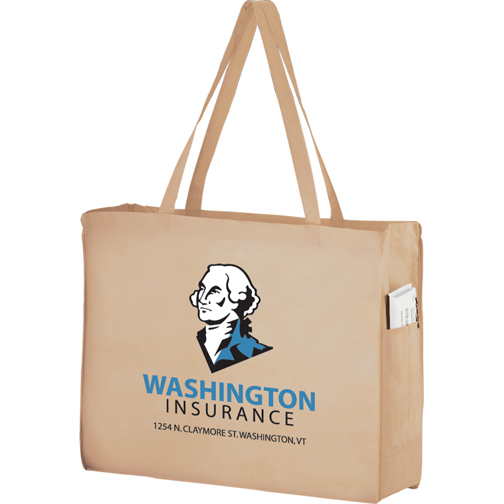 Select the size and color from our inventory and we can print your logo on the bags right here in the USA. 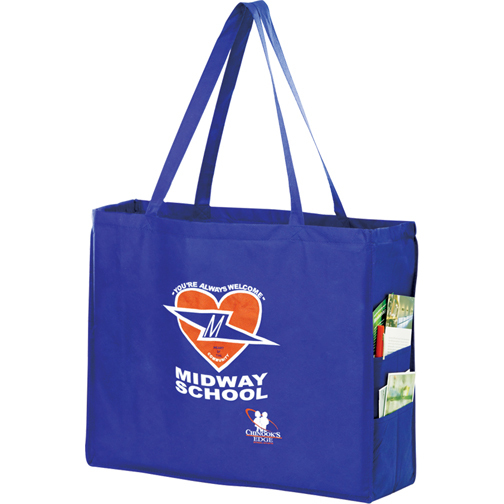 We can also turn them around rather quickly so you will have your bags in no time. 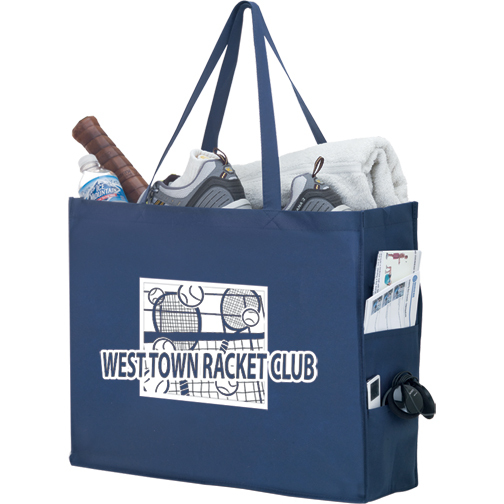 If you have a specific design in mind, we can work with you to create the ideal customized bag. 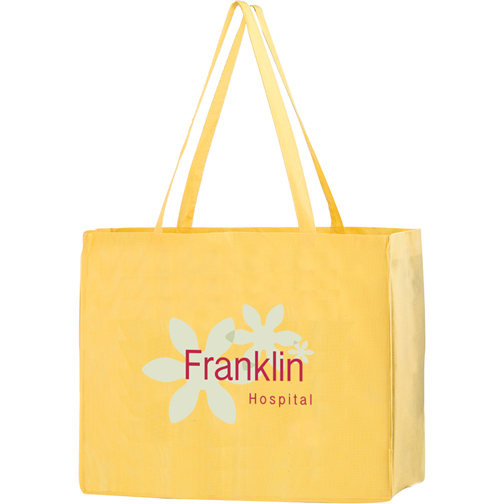 You can pick materials, size, gusset and handle colors and more by customizing your bag with our overseas production.